Becoming a living kidney donor can be a heroic act, but it has its downsides: increased risks of health complications and occasionally, diseases that may create the need for the donor to have a kidney transplant later in life. It is extremely important potential kidney donors completely understand the commitment of being an organ donor. 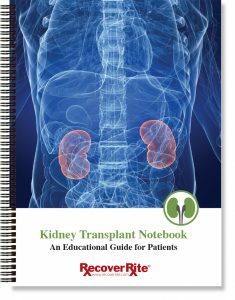 This booklet helps your Transplant Team and donors completely understand the process. Will my own health or life insurance be affected if I donate? What happens after donation? How long will I be in the hospital? Can I get pregnant after donation? What if something happens and I need my donated kidney later?